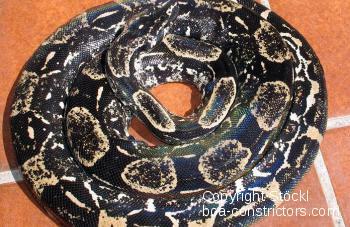 We are breeding long-tailed boas since 1999. Furthermore, we have acquired additional bloodlines from well-known breeders in the U.S. (whole litters). We kept the best animals for ourselves for future breeding projects. This is what we call the "top bloodline". 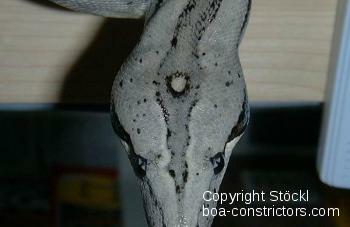 In 2008 we produced the first longicaudas of our "advanced bloodline". These are unique animals who are not comparable to everything else that is on the market. You don't believe us? Just look at this photo and try to find a similar longicauda elsewhere. You will not find one all over the world! 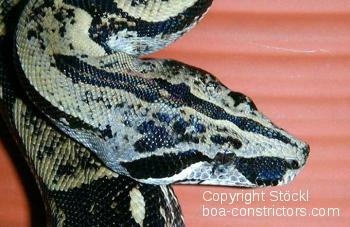 It was back in 1995 that we first saw a pic of a Boa c. longicauda. Even though it was a blurred photo that was provided by a German reptile dealer who had received it from a friend in the U.S., and even less was seen on it, we were fascinated by the head markings of these beautiful animals. 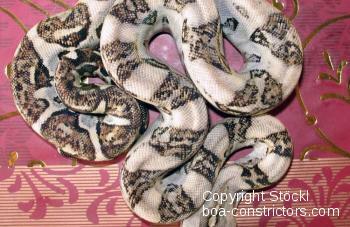 We then tried some contacts in the U.S. then (we only had a few at the time) and were told that these animals were very rare and that some boa enthusiasts would commit murder to get these animals. In December 1996 we contacted Bill Edelbrock of Long Beach, CA. 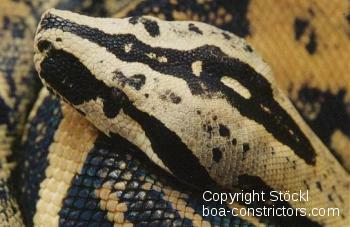 We were surfing the Internet, entered "Boa c. longicauda" into a search engine and arrived at Bill's site. 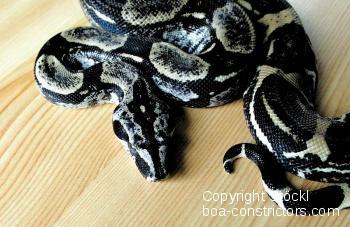 Back in 1996, Bill Edelbrock had one of the most significant collections of Longtail boas in the U.S. (and probably the nicest bloodlines as well, as we learned later). Bill was obviously delighted to be contacted by a guy from Germany, since he assumed to have German ancestors. He offered us four neonates of his best offspring for sale. He had kept them for a close friend who finally decided not to take them since he was running short on money. In February 1997. I visited Bill Edelbrock in Long Beach (I was staying on the Queen Mary, and the Valentines Day ball there was stunning) and got four of his best 1996 neonates (2 unrelated bloodlines). In August 1997 I visited Bill again and bought another couple (again a different bloodline). Did I mention that I have since never seen such beautiful adult breeder Longicaudas (with the exception of the ones that I got from Bill, which bred a few years later)? One of the Longicauda babies that we got from Bill turned out to become yellower than a german mailbox. We were also surprised when we got the first litter in 1999. About a fourth of the babies had no other colors than white and black. They were anerythristic. The same outcome in the litters of 2000 and 2001. A few of the babies turned out to become yellow/black. Both traits were therefore in this bloodline. We kept the best of these babies and added the very best from several dozen Longicaudas that we imported from Vincent Russo until 2005. Out of this pool we got the first litter of Top Bloodline Longicaudas in 2010 (The High-Yellow Bloodline and the Zeros™). We were very sad to hear that Bill Edelbrock lost his entire stock of animals due to an accident with pestizides back in 1999. Not even a single animal of his survived. A tragic accident indeed! 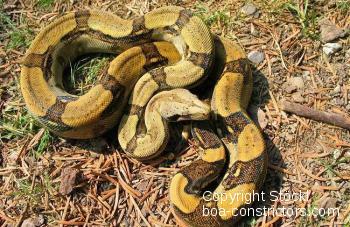 Since then we have seen a lot of Boa c. longicauda both in person and in photos. In our opinion, Bill Edelbrock's animals were the nicest of them all. We have since even seen Longicaudas, whom we would regard as rather unpreposessing (to avoid the term "ugly"). Those people, who were lucky enough to get animals from Bill before the accident occured, should be thankful. Actually, I think that we may be the most thankful of these people, because we got the best of them.